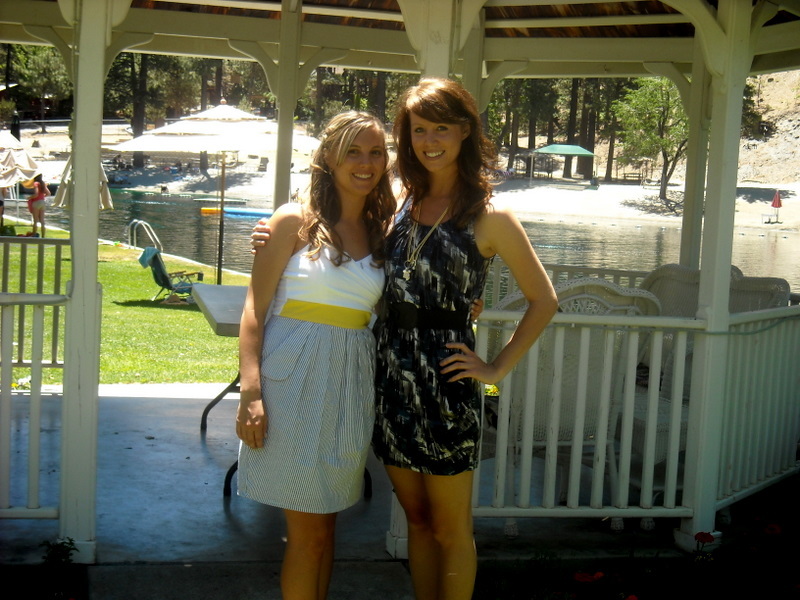 It was my best friend’s bridal shower on Saturday. And, being the MOH, it was my job to host. Thankfully, Pam (said bride) has an absolutely spectacular aunt who helped out (it’s tradition in their family for the aunts to host). She took care of most of the food, but I really wanted to make something from scratch. 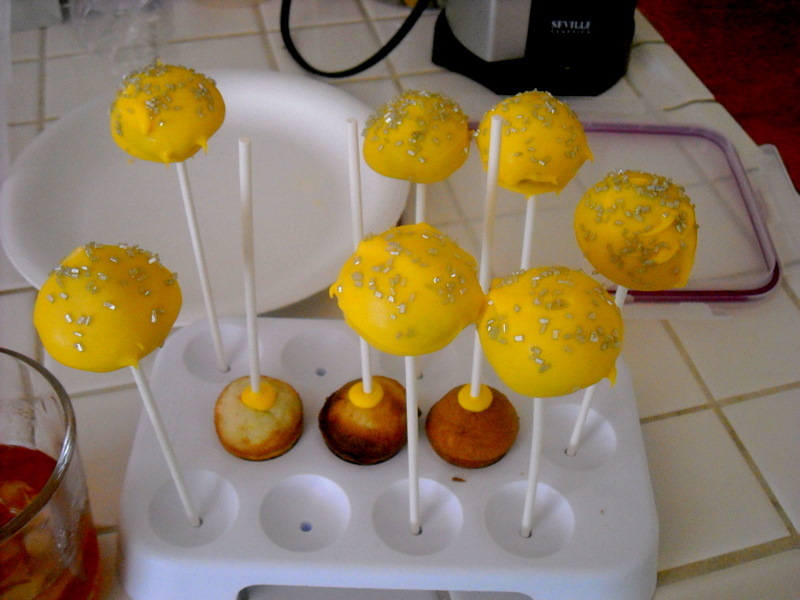 So of course I pick the most time consuming and fickle thing to make: cake pops. I posted a link to a tutorial a while back and have since done a trial run of the sweet cakes-on-a-stick. The first time around, they turned out decent. A little funky and super sweet. I loved them, but my taste testers were divided. 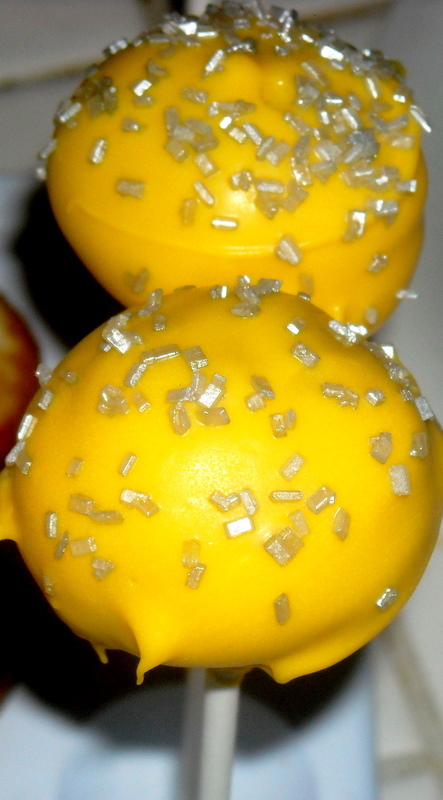 Some thought they were great, others said too sweet and “mushy.” This is because traditional cake balls are made by crumbling a cake and mixing in frosting to create a “dough” and then rolling it into balls and dipping them. Mmmhmm, welcome to the future of baking. 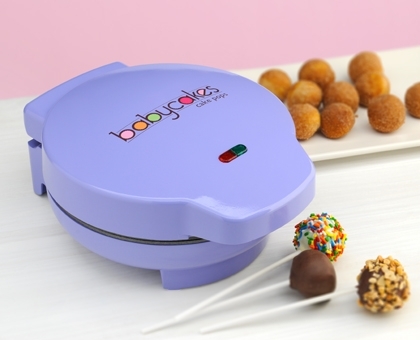 BabyCakes also makes doughnut makers and cupcake makers. Pretty genius stuff. I used Funfetti cake mix, but changed the recipe to make it a heavier dough, since I read reviews that said boxed cake mixed don’t do well in the cake pop maker. I only used 2 Tbsp. of oil, substituted milk for the water, and added an extra egg. This created more of a “batter” and the cake still tasted great! 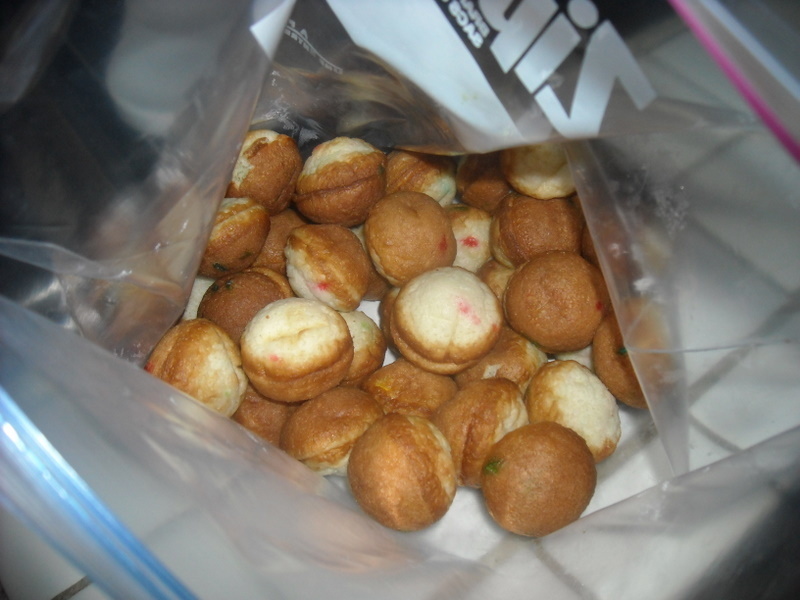 I put the batter into a bag, snipped a corner, and filled up the baby cake pop maker about 7 times. Waiting anxiously to be dipped! 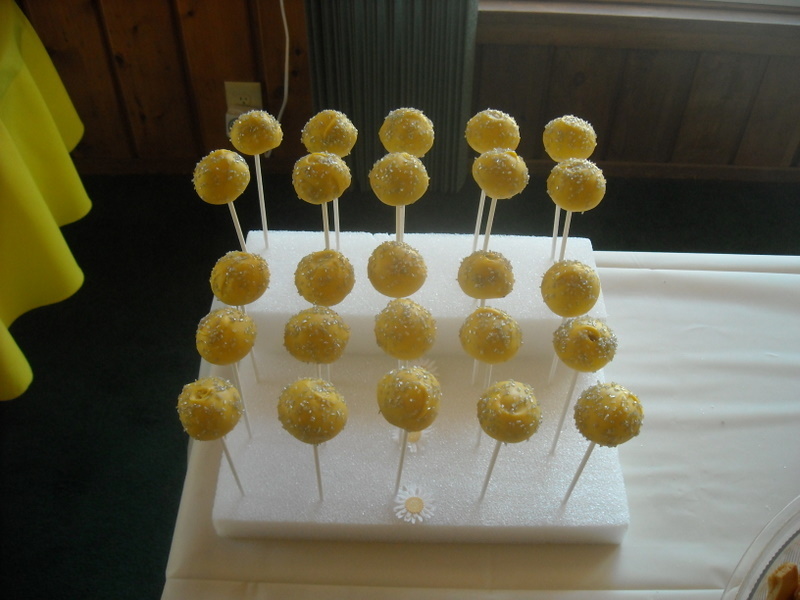 Pam’s bridal color scheme is yellow and grey, so I dipped them in yellow candy melts and sprinkled with silver sprinkles. Voila! I arranged them on some foam blocks to display at the shower. And they were a hit–people were so intrigued! I only took 4, of the 50 I brought, home. Success. Congratulations to the Bride-to-Be! Can’t wait for your big day in July! Love you, Pammy! I would like to thank you for the energy you have put in posting this web site. I’m looking to see otherwebsite post from you in the future. plz also excuse my poor english as its not my first language. Oh those cake pops were so delicious! And really everyone was raving about them. Thank you so much for all your hard work. I really do think you are the best MOH a girl could ask for! Also, those cake pops didn’t just taste fantastic they were super cute 🙂 Love you my dear! Thanks Deb, that’s very sweet. And thanks for snooping around my site! Did you see my Grandma Gunn recipe? ?